K&N Performance Gold Oil Filters were originally developed for demanding auto race applications, our premium automotive oil filter is rapidly becoming a favorite among consumers for its durability and easy removal. 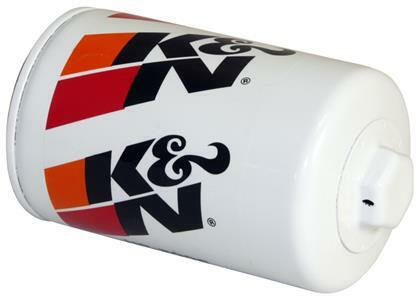 Each K&N Performance Gold Oil Filter comes with a 1” nut welded to the top of the canister so they can be easily wrenched-off with a standard tool. 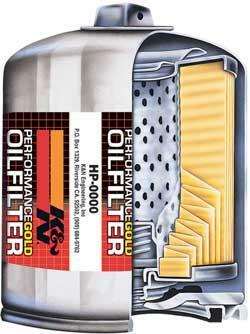 K&N Performance Gold Oil Filters use resin impregnated cellulose filter media. This allows for higher flow rates while providing outstanding filtration. High filter flow rates are important in racing vehicles where heavier grade oil is used and the oil is pumped much faster than in a standard vehicle. 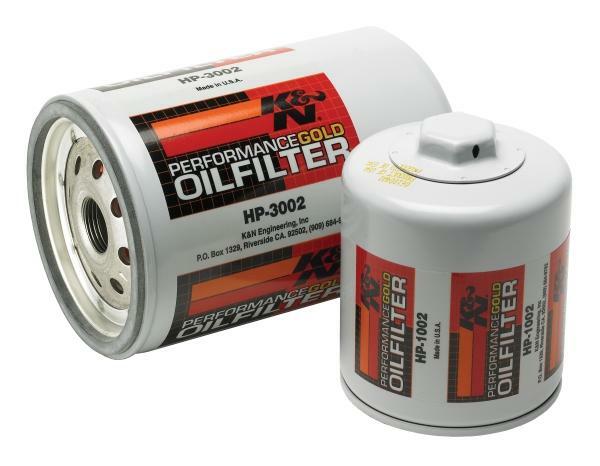 When the engine is circulating oil at high GPM rates, the high-flow oil filter helps reduce the loss of pressure through the filtering process.